SAP queries are so popular as data suppliers because tables can be joined on the SAP end without any developer authorization. 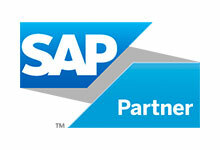 With Xtract IS Query, you can make your SAP queries directly available in the Integration Services. With a graphical user interface and full metadata support, the result is available for further processing within seconds. As with every SAP query, variants can also be applied here. Alternatively or in addition, it is also possible to fill the selection screen with your own selection values. 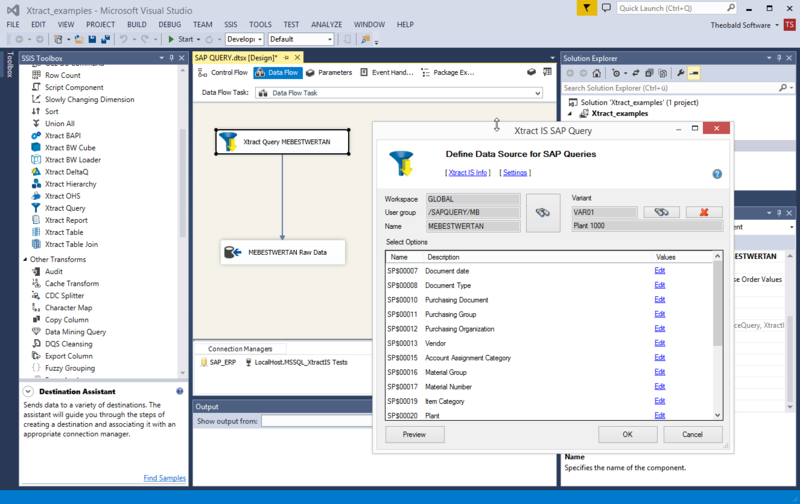 The variant and all selection parameters can be dynamically entered via SSIS variables. The screenshot below shows a data flow that extracts a demo query with the help of Xtract IS and transfers it to an OLE DB target. The dialog window shows the query in the processing mode.